We see stories of huge CAD installations at Fortune 500 manufacturers around the world. We get submersed in complex PLM stories with global design work processes being undertaken 24/7. But what we don't often see is how small manufacturing shops are building their own futures by using CAD tools that revolutionize their production processes without costing a lot. This story from CRM Fabrication and Repair, located in North east Georgia, highlights how affordable CAD software from Geomagic, combined with advanced machining software from Mecsoft, allows small production shops to easily and quickly deliver return on investment in technology. 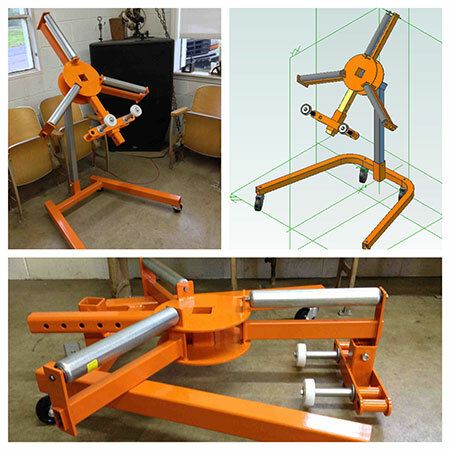 Using Geomagic Design (formerly Alibre Design) and Alibre Cam from Mecsoft, the company was able to quickly redesign a custom product in less than 5 hours, at a 15% reduction in costs of labor and materials. You can see the story in full at Evan Yares' 3DCADworld web site.